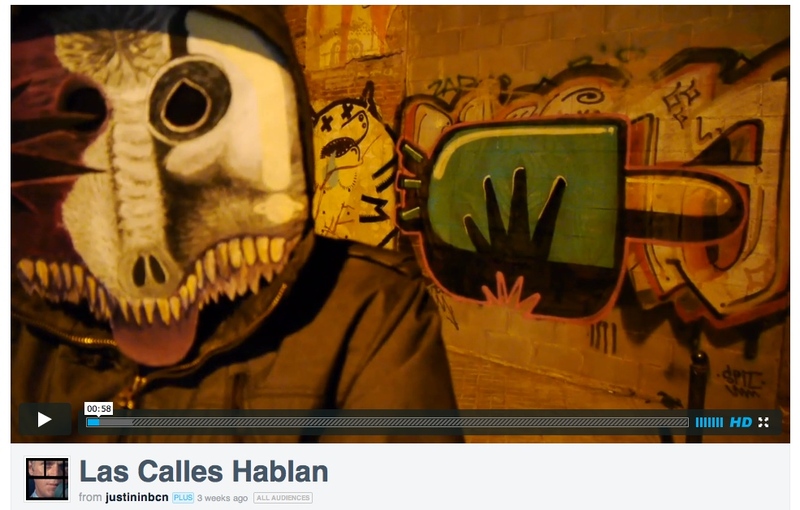 Las Calles Hablan is a feature length documentary film about street art in Barcelona. Until now there hasn’t been a definitive film made in Barcelona which explores the history, motivation, politics and the numerous characters involved in the street art scene. The story follows the real life experience of Katrine Knauer as she develops her interest in Barcelona urban art through her photoblogging website called Mapping Barcelona Public Art and an 2012 street art exhibition featuring some of her discovered artists. The film was originally considered as a 5 minute documentary to complement the Las Calles Hablan exhibition but we later realised that a much bigger, more intriguing story needed to be told. The deeper we delved into this vibrant subculture the more we discovered and the more we got hooked. We wanted to make a documentary which was filmed mostly on the streets, shot from the hip, something that reflects the street art itself. A lot of the story comes from the street artists´ themselves. They were always generous with their time and information. They developed the process, they wanted this story to be told. Las Calles Hablan is a story about discovering a hidden world, an extraordinary subculture and the struggle between an artistic community painting for freedom of expression and an increasingly restrictive dogmatic government. In support for the release of Las Calles Hablan documentary we have organised an online petition to request the government to enter into conversation with the street art community. Las Calles Hablan will Premiere the first screening on 27 April at 8pm at NIU : espai artístic contemporani. Carrer Almogàvers, 208, 08018, Barcelona. Admission by invitation only. Please respond to this email to reserve seats. On May 4th 2013 we will Launch the film to the public online.